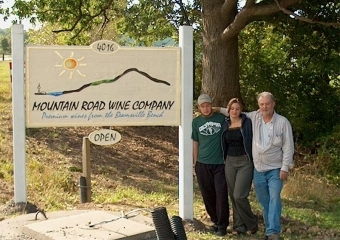 Come by to taste "Premium wines from the Beamsville Bench" produced from our family vineyard established in 1983. Stroll through sloping vineyards and enjoy the spectacular panoramic views of Lake Ontario's near and far shorelines. Enjoy complimentary tastings of our wines, including our Gold Medal Icewines, at our Wine Shop. Custom labeled 200 ml Icewine for wedding guest gifts starting at $15.95 per bottle.